If you want to prepare healthy, fried foodalways control oil temperature, time throughout and the frying process! ZANUSSI PROFESSIONAL helps by offering a complete set of tools to slow down oil degradation/oxidation during cooking, during oil filtering and during idle periods and standby. ZANUSSI PROFESSIONAL helps by offering fryers with specific features to manage and control time in the most precise way. Zanussi Professional automatic fryers automatically adjust cooking time according to the quantity of product loaded thanks to the automatic load compensation function. 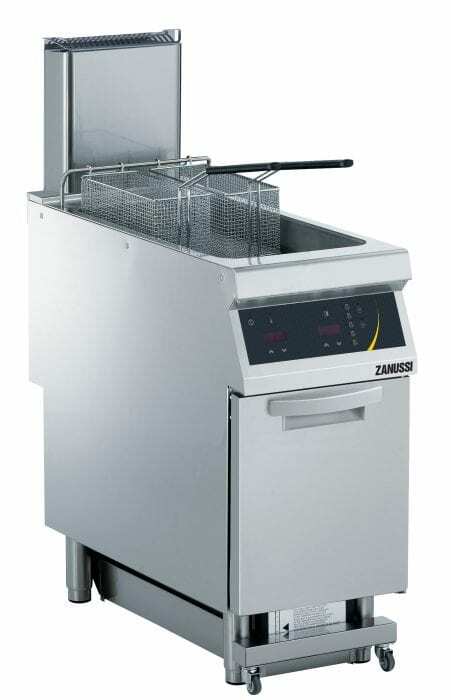 Zanussi Professional automatic basket lifting system ensures the cooking cycle terminates when necessary.